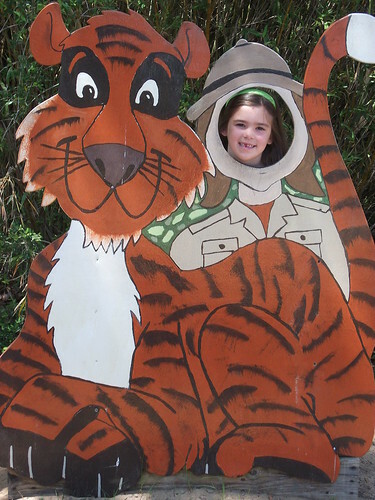 Will and Kate's World: Anna’s 1st Grade Field Trip to the Zoo! 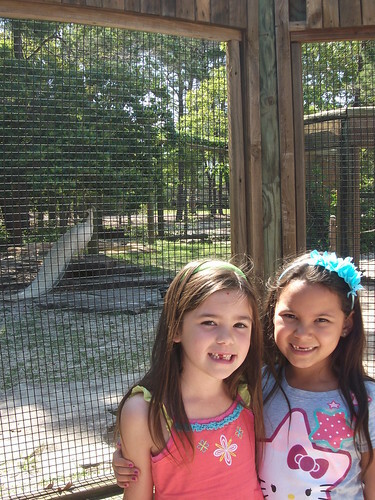 Yesterday, we went to the Gulf Breeze Zoo with Anna’s first grade class. The day was beautiful and perfect for an outdoor field trip. 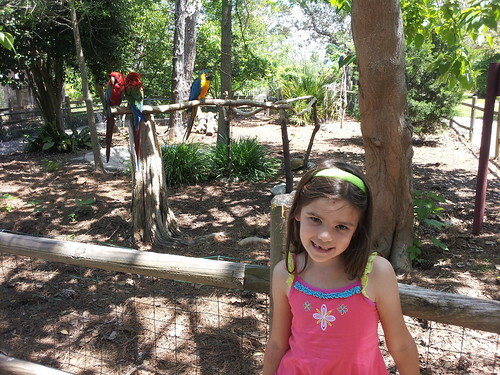 I was pleasantly surprised at how nice, and big, the zoo was after hearing people talk about it. I was not expecting much. 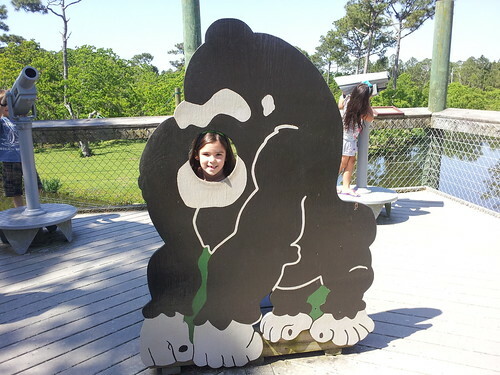 Here is Anna at the Gorilla cutout on the boardwalk. Anna and Jazmyn liked the trash cans. 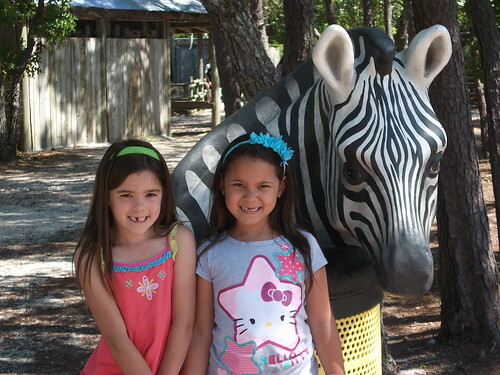 Here they are in front of the zebra trash can. Crazy kids. Here is Anna and Jazmyn posing with what looked like a white peacock to me. 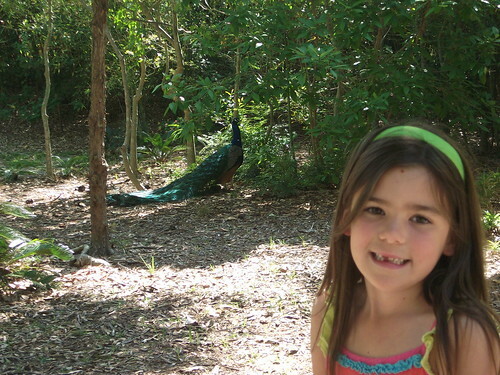 Here is Anna with the peacock. Anna took this picture. I thought it wasn’t too bad. 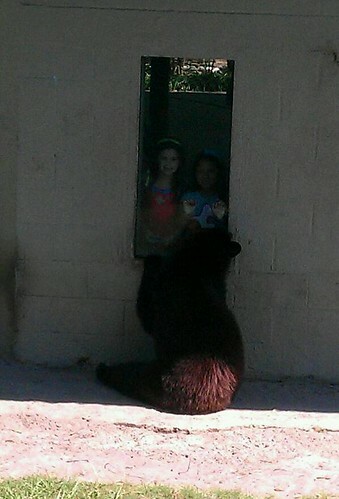 Jazmyn’s mom, Janey, took this picture of the girls. I don’t know if food was on this window or what, but that bear sat there for the longest time licking and clawing at the window. Luke just giggled hysterically when I put him in front of it. If you can’t tell, that is Anna and Jazmyn in the window. I think these birds were sleeping. They were pretty! 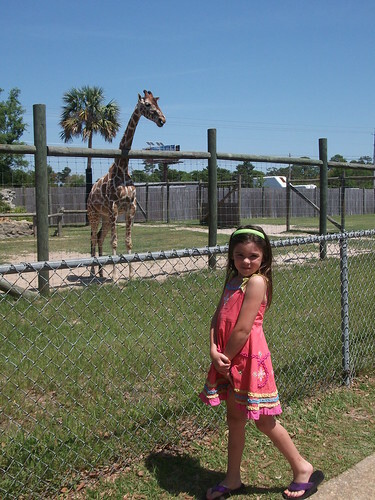 Anna with the giraffes. She took this picture for her sister. She refused to feed them. 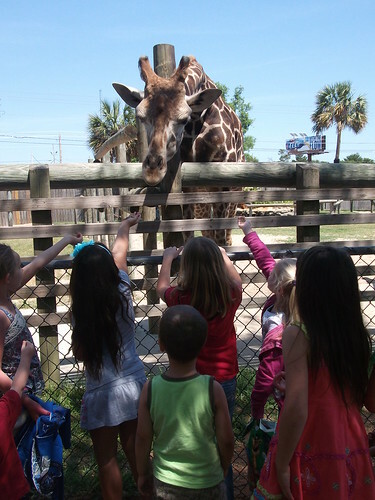 Here are some of the kids in Anna’s class trying to feed the giraffe. 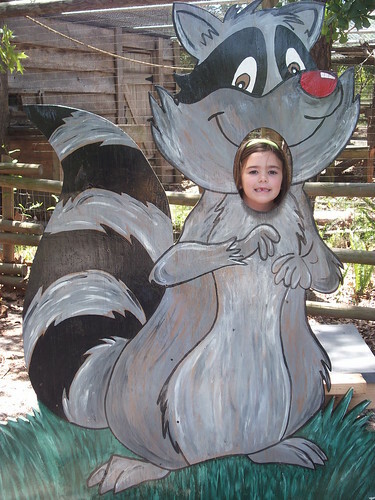 You’ll notice that Anna is in the back not holding up her hand. Because the kids were so short, the giraffe had to stick its tongue out about six inches to get the food from their hands. It was so gross! I really don’t blame Anna. 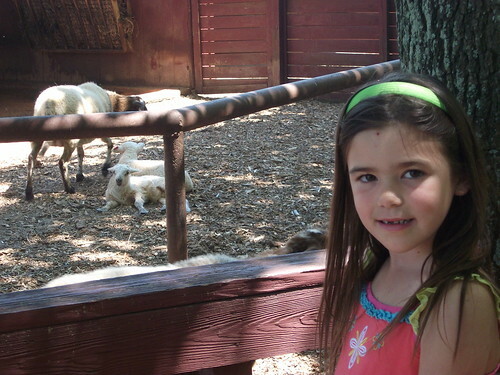 Anna and her sheep. She loved looking at the lambs. 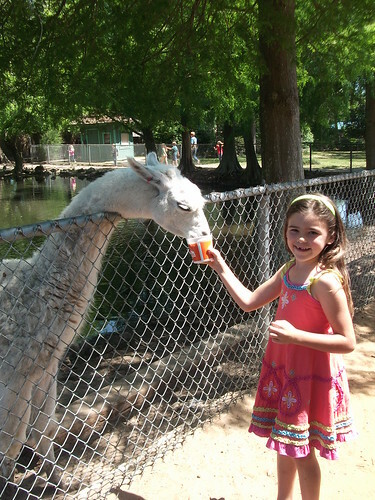 She was willing to feed the llama from the cup. These Siamang Monkeys were really showing out for everyone in the afternoon. We could hear them from all over the zoo. The kids were laughing and hollering at them. It was quite a sight. Luke, however, was shaking and ended up pulling his sun shade down so that he didn’t have to look at them. They were about six feet away and were extremely loud. We watched them for a long time. At the end of the video, you can hear Luke try to imitate the sound of the monkeys. It was a wonderful day! Hopefully she’ll have some great memories! 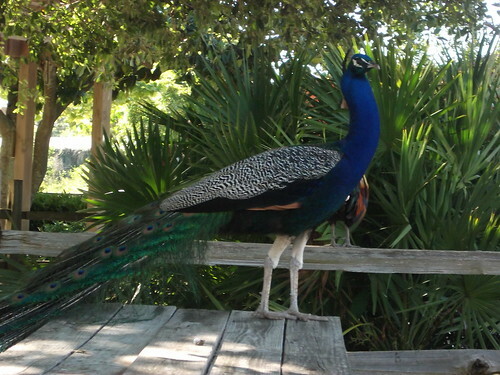 Oh, and I just have to say that I will NEVER AGAIN go into a bird house to feed birds!